My most recent yard saling adventure was yesterday. Everytime I decide to go, I think about the possibilities. The possibilities of finding the ultimate bargain. You know, a box of Transformers, for ten bucks. Something to that effect. Well, that did not happen on my most recent excursion. But I did manage to buy some pretty cool stuff, without spending a lot of cash. I’ll just cut to the chase, and show you the loot. The first sale I hit up yielded this guy. An excellent value at only ten cents. I don’t know about you. But I loved the Beetlejuice cartoon. I remember when these came with a Burger King kid’s meal, and I thought they were pretty sweet back then! There’s no action or posability, but they’re nice to look at. 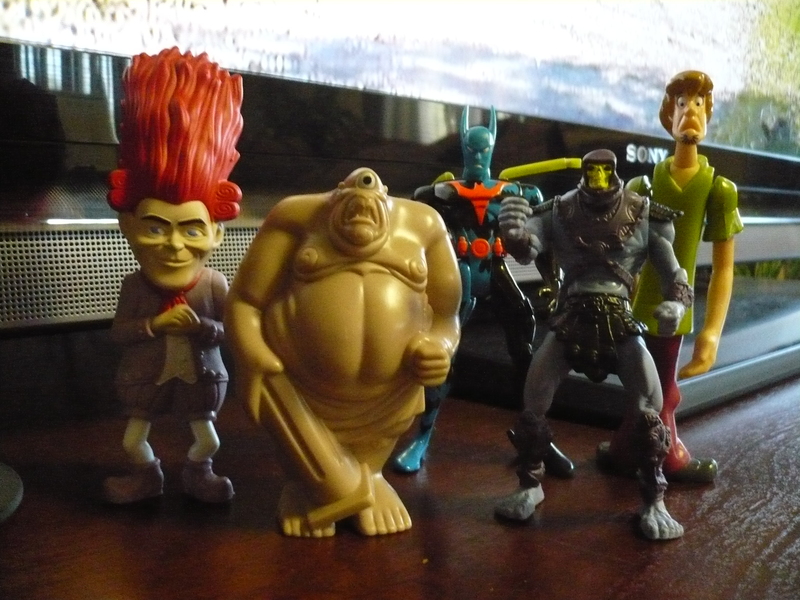 The toys had one character from the show on one side and a different character on the reverse. 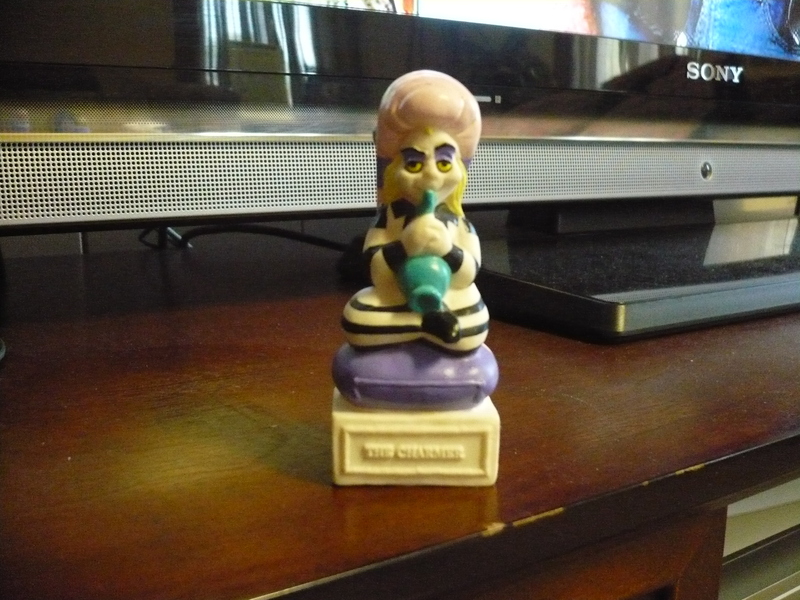 This particular one has Beetlejuice as a snake charmer on one side. 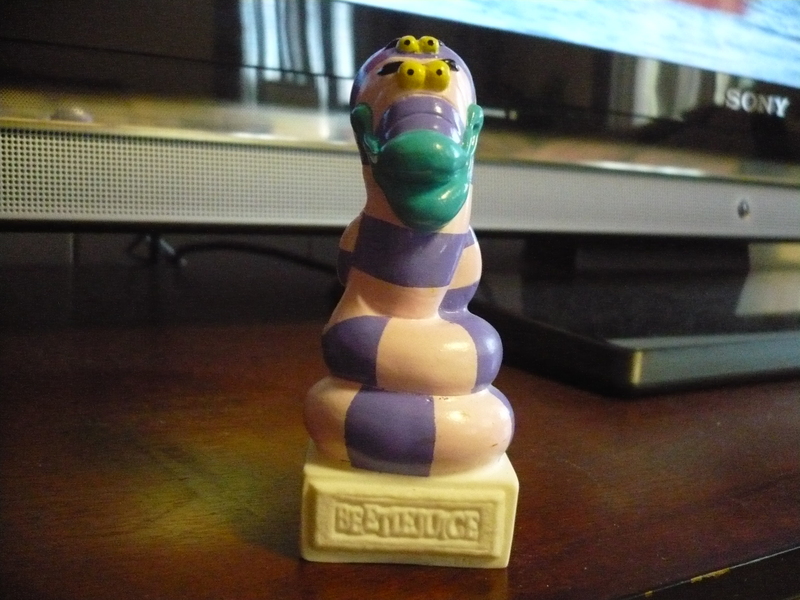 And a sand worm on the reverse. 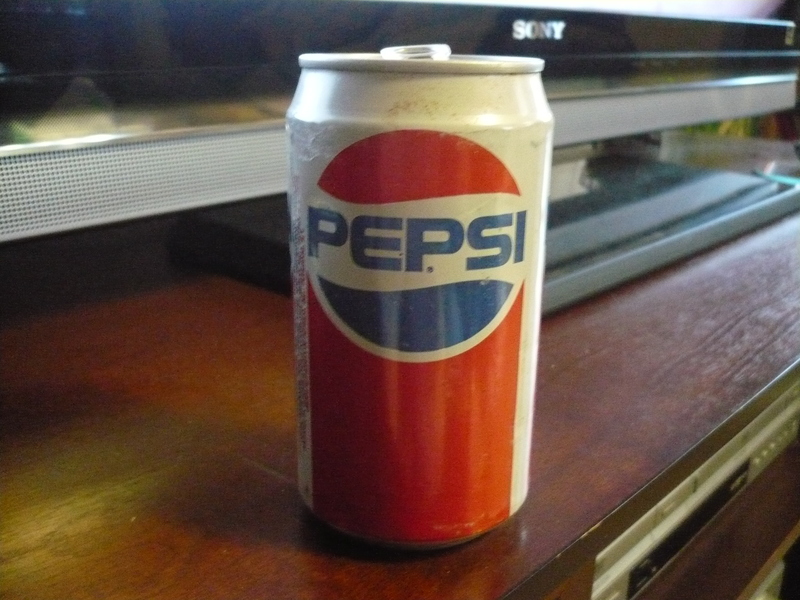 An old school Pepsi can. I believe this is from the late eighties or early ninties. The ingredients include high fructose corn syrup. So whenever they made the switch from sugar. One thing that is absent from this can, as opposed to cans of today, is the nutritional information that is on almost every food package. Simpler times. Every item in the next photo was in a bag for a whopping total of fifty cents! The brightly colored Batman Beyond figure was what brought my attention to this merry group figures. He is sadly missing one of the two detachable wings that clip onto his shoulders. The newer version of Skeletor made up for that though. Then, there’s Shaggy from Scooby-Doo, who will get sold, as well as the two guys on the left(I have no idea who they are. If you can help me, let me know). The next two items were bought for laughs as well as the nostalgia. I have never seen this particular Robin Hood movie, and I was not a fan of 90210, although I know a lot of the characters. One of my favorite things about this purchase is, the Kay Bee price sticker. It’s a nice reminder of my favorite toy store. 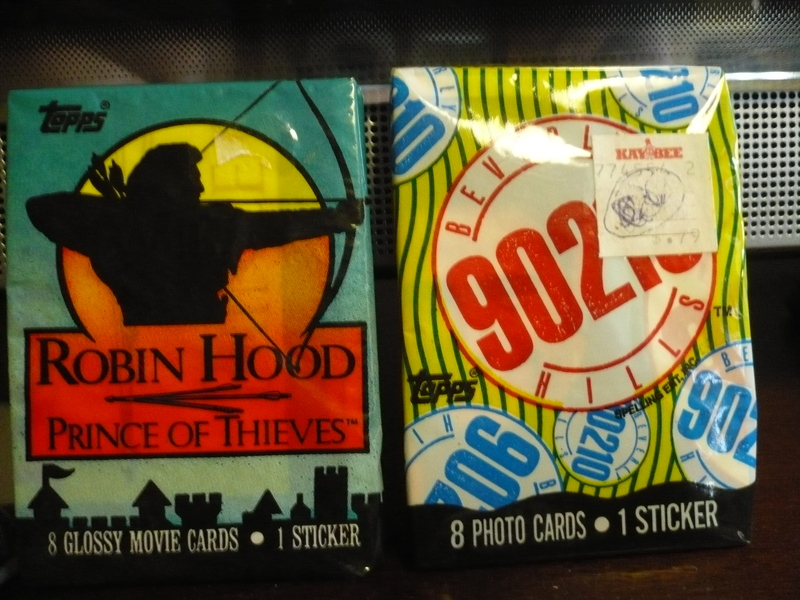 The price tag has the 90210 cards marked for 79 cents. I scored both packs for just a buck! These could make for a review in the future. This was my favorite find from this sale. 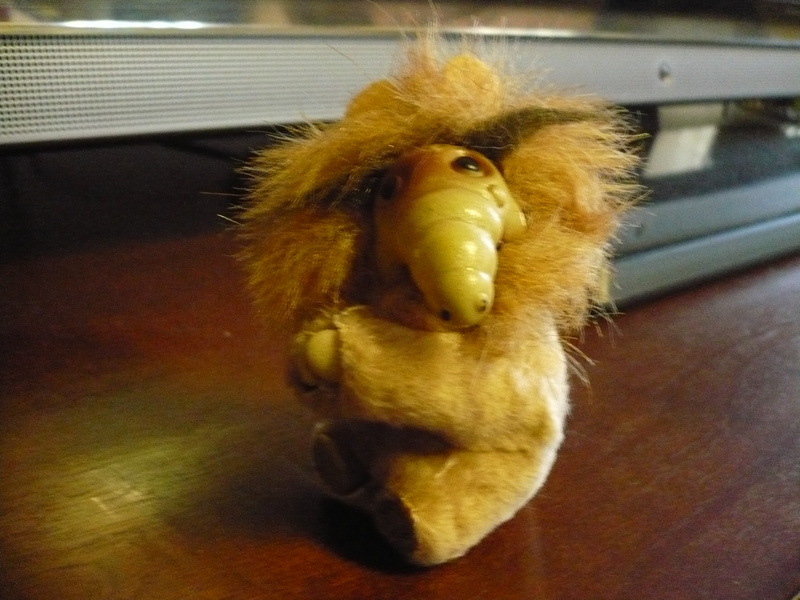 I remember all different bears made just like ALF here. You squeeze his shoulders and his arms open up to clip him onto something(rear view mirrors were popular). I have never seen an ALF version though. He was in a Ziploc bag and he’s as soft as the day he was bought. I would rather have this guy than the fifty cents I traded for him. Next, we stopped at a used furniture and gift establishment. This place isn’t too far from home and we’ve passed it hundreds of times. Yet, this would be our first time to set foot in the joint. There was way more furniture than gifts. There is a silver lining to this. Here it is. 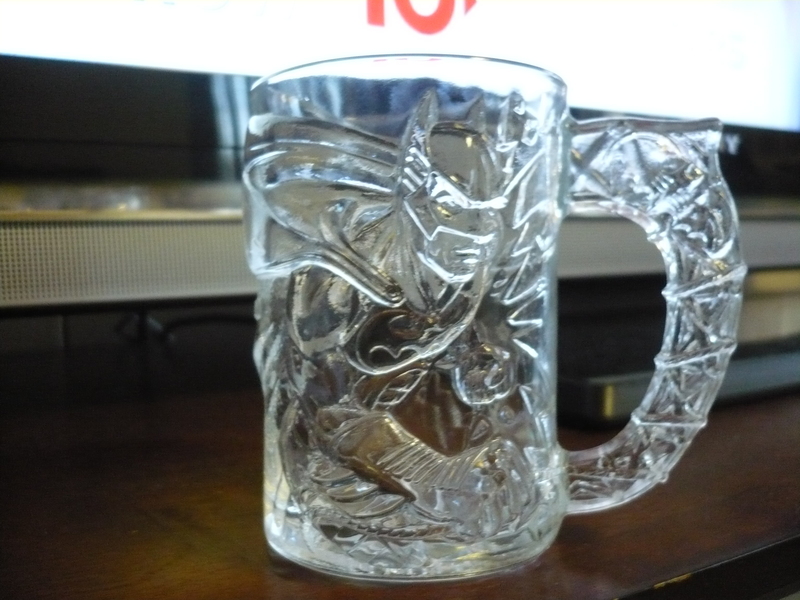 This is a McDonald’s mug from 1995. Didn’t McDonald’s promote some 3 patty burger for this movie? I think, if you bought any size Extra Value Meal, you had the option to buy one of the however many for a nominal fee. I could of had the other four mugs that were displayed with this one for three more dollars, but decided against it. Three of the remaining four were Robin ones, and the last on was a Riddler one that was smaller than this one(maybe part of another set?). The last sale we hit up yielded a lone item. But a sweet item. At just a dime, well worth it. 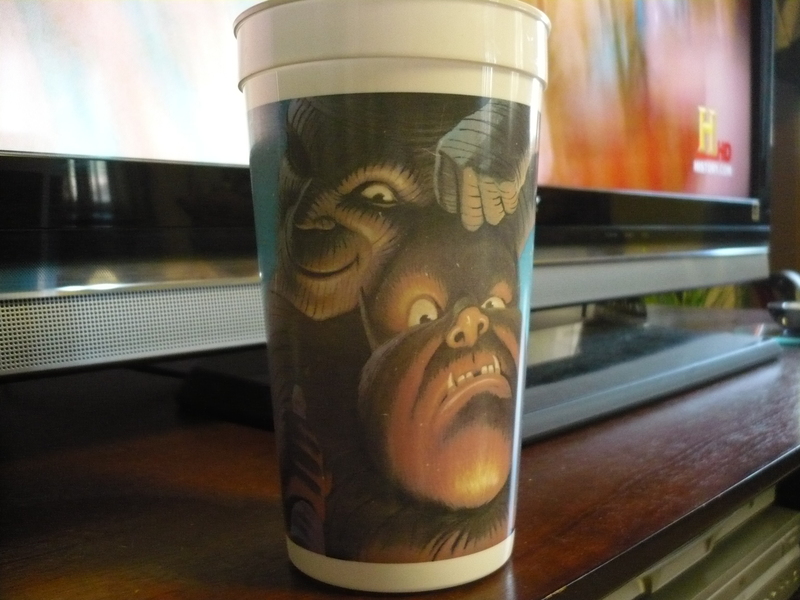 Judging from a small Pepsi logo and a small Universal Studios Monsters logo, I would surmise that this is a collector’s cup from Taco Bell from sometime in the ninties. It displays the Monsters in a different light by showing The Mummy playfully giving The Wolfman a noogie. Since I first laid eyes on it, it has definitely upped my Halloween spirit. Well that’s the latest haul, and it may be the final of the season. But who knows?